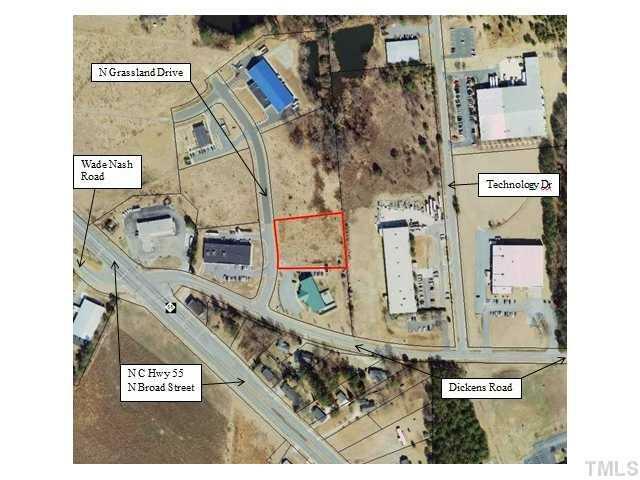 Convenient location between Holly Springs and Fuquay Varina with excellent visibility from N.C. 55 (Broad St.). Ready for your building needs with all improvements in place. 54,842 Sq. Ft. with 190' frontage. Level topography. Zoned Light Industrial with various permitted uses. Courtesy of Watkins Realty, Inc..
Best Use CommercialIndustrial For Lease No For Sale Yes Lot Number 0 Property Type Commercial Unimproved Rail Service No Special Conditions No Special Conditions Utilities ElectricityNatural GasSewerTelephoneWater Zoning L. Ind.